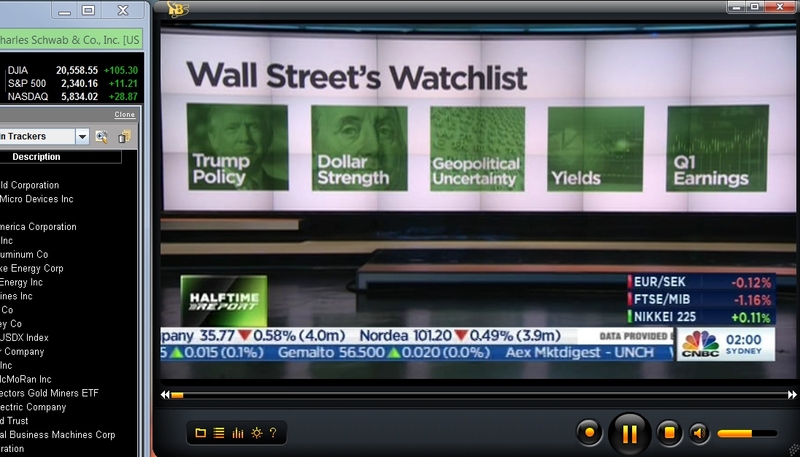 US equities closed broadly higher, sp +20pts at 2349. The two leaders - Trans/R2K, settled higher by 1.3% and 1.2% respectively. 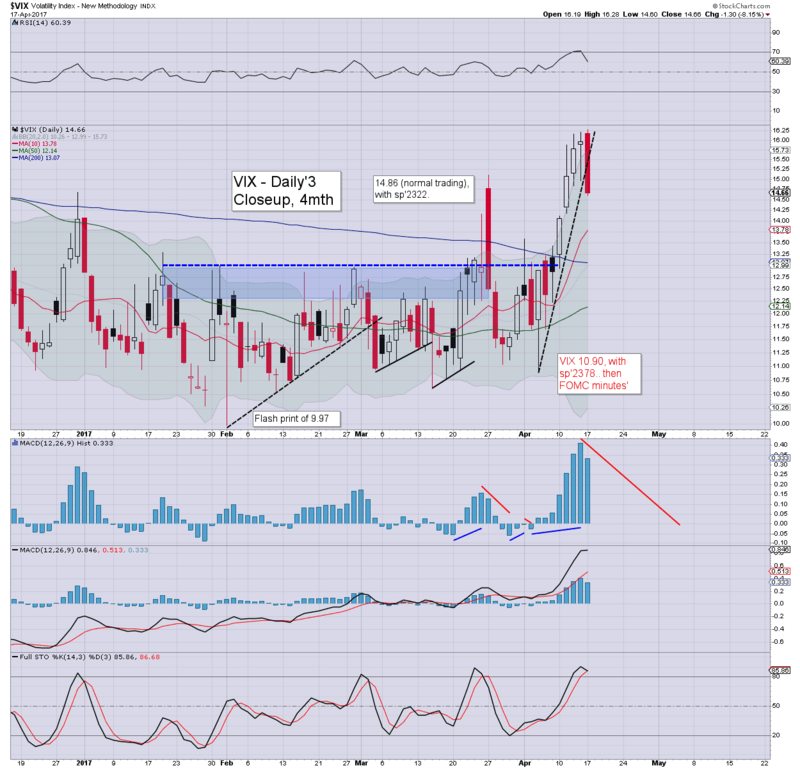 VIX settled -8.1% at 14.66. 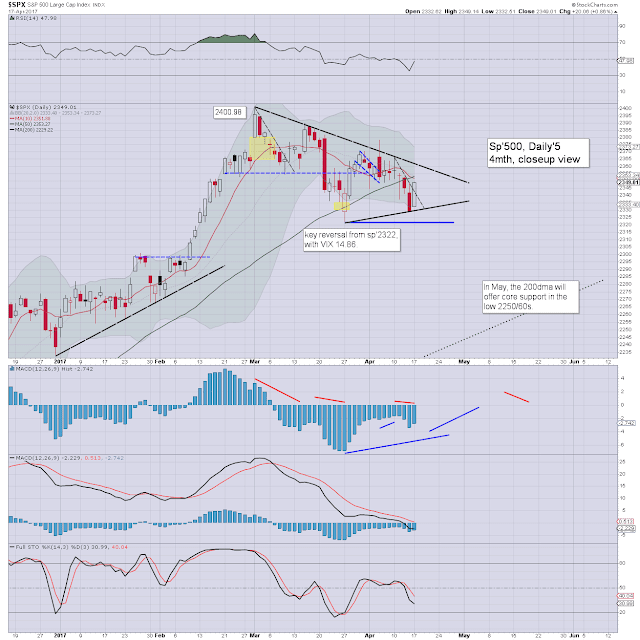 Near term outlook offers further upside to the sp'2350/60s. A break above big resistance of 2380/90 looks out of range for at least another 8 trading days. 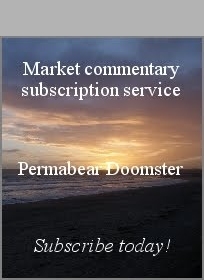 The week began on a broadly positive note, with the sp' clawing away from last Friday's close of sp'2328. With each day we hold above it, that makes for an increasingly secure 'marginally higher low'.. from the March 27th low of 2322. No break above big resistance of 2380/90 can be expected until late next week.. if not early May. 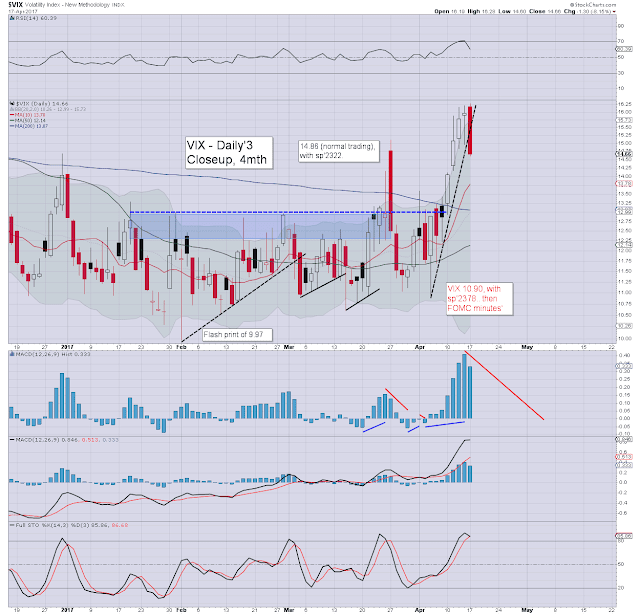 Volatility naturally cooled, and we already have VIX back in the 14s. As things are, its difficult to see VIX 12s this side of opex.. and more so... ahead of the French election. Note the MACD (blue bar histogram) cycle, on the extremely high side, and will be inclined to tick lower all the way into early May. Trump policy: Yes.. that is an issue, not least with the healthcare bill failing. 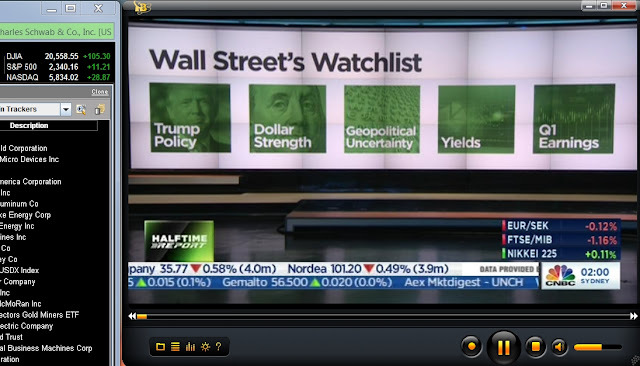 USD strength: the capital market would only have an issue if a fast move to DXY 120s. Yields: recent cooling is cyclically natural. The bond market doesn't 'know something' that equities don't. Q1 earnings: will come in reasonable. Frankly, those who were whining about missing out on much of the Trump rally, are getting an opportunity to jump aboard, before a move into the sp'2400s.. and eventually the 2600/700s.